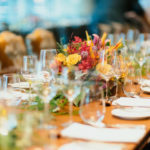 Whether its your first, fifth or fifty-fifth event that you’ve planned, you should take the time to know the following things before you book your event at any venue. 1. Can we fit in the venue? This seems like an easy question to ask, but really think about it. Do you require tables or is it just seating? Are you planning a meal? Do you require a dance floor? Do you have a main speaker or presenter? Do you have exhibitors? Once you break down your event and think about the flow, you will be able to figure out if the venue has the capacity to accommodate your needs. 2. What type of event am I having?? You may be looking for a formal event space, so anything too casual may but cut it for the theme. You could always transform the space with an abundance of décor, but that may not be in the budget. Also consider the size of the venue; is it to large or to small? Placing 100 people in a 500 person room would just make your event seem lost in the space, or filling a room to capacity without any area for a registration table would make it feel too tight. Always plan to have a bit of extra room for comfort. Yes, you need to know your budget before you go any further. Do you just need a space to meet? Do you want food? Do you need audio visual support? Will there be music? Depending on what you are planning, you need to allocate funds accordingly. Room rentals, food, servers/bartenders, technicians and SOCAN fee’s all come into play when you ask the questions above. 4. Am I flexible with date and time? Can you plan the event for Wednesday at 11am rather than Friday at 5pm? Venues usually charge a premium price on specific days of the week, like Friday and Saturday evenings because they are more popular. 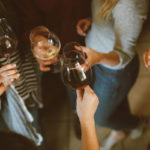 If day and time are flexible, you can plan your get together mid day during the week as it tends to be a lot cheaper and the schedule is likely to be open. Also, holiday season is prime time for events so avoid scheduling anything during this time, or plan on booking this months in advance. 5. Can I bring in my own food/beverages? Many larger facilities have their own in house catering team and servers, which makes things easier overall. But if you want to bring in a special party favour from an outside supplier or bring in a unique cultural sweet for your welcome table, you need to check and see if the venue has any restrictions. Some venues will allow you to bring your own liquor while charging you a corkage and bartender fee, but its always best to ask in advance if you have requests like this. 6. Do I need audio or visual? Living in a modern world, the answer is yes! If you are having any sort of event (meeting, celebrations, holiday parties, weddings, etc) and wish to engage with the audience by providing some sort of video, photo, web link, survey, branding opportunity, then start asking yourself what will I need. 7. What are the extra charges? Know what the extra charges are before you sign off on any venue. Facilities charge for things like audio/video, parking, corkage, wi-fi, cake cutting, music, clean up, linen rentals, additional servers/bartenders, additional set up time and last minute printing. No matter were you are having your event, you need to look at parking options. Is there parking on-site? How many spaces are available? Is valet available? Are there additional costs? Are there competing events that may effect parking? 9. How are they rated online? Jump online and look at numerous reviews on the facility. Not everyone likes the same food, is in close proximity to that venue, had the best day or just so happened to get the new hire on their first day. Look at the overall rating and read the messages keeping an open mind about each post. 10. What are my additional logistics? Will people find the venue/room that we are in? Do you think you will need a green room or staging area? How much time do I have to set up for my event? Is there any conflicting events taking place around the same time/location? Sometimes asking a venue for any common problems that other planners run into when they book at their location, will help define your task list.